Adelaide is South Australia’s capital and largest city and accounts for almost 75% of the state in terms of population. When it comes to statistics about gambling, the city has more than its fair share of the state’s facilities. Gambling in South Australia is small when you compare it to states like New South Wales or Victoria and the total gambling expenditure for 2014-2015 was just $1 billion (compared to NSW at $8.9 billion and Victoria at $5.7 billion). In fact, along with the Australian Capital Territory, the total annual gambling spending per capita in South Australia is the lowest in the country at just $768 per person per annum. This is half the rate of New South Wales and Victoria with the Northern Territories coming in first at a staggering $6,500 per person! In this guide, we wanted to take a look at the gambling laws and the kind of wagering that goes on in Adelaide as well as give you an idea of some of the best places in the city to lay your bets. Gambling in South Australia is legal as long as punters are over the age of 18 and that bets are taken by a licensed betting operator, at a licensed venue or using a licensed gaming machine. Wagers can only be placed on races or events that have been approved by the Independent Gambling Authority or are associated with licensed racing clubs. Licensed Totalisator Agency Boards (TABs) are approved to accept wagers on this basis and most sports bars, racecourses and leisure facilities offer these services. 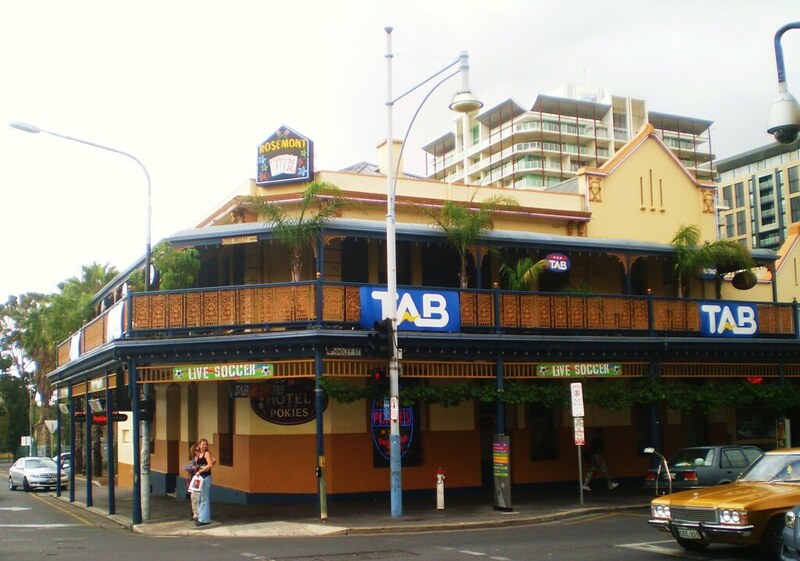 In addition you can find TAB agencies in Adelaide to place your bets (see TABs: Social Clubs, Sports Bars and Hotels, below). There are many venues in Adelaide where gambling is legal, including the city’s casino in the historic railway station buildings. Image via Flickr. Gambling in South Australia nets the government around $750 million each year with Adelaide accounting for a good proportion of this figure. The city is home to a population of almost 1.2 million people which represents almost three quarters of the state. The latest prevalence reports on gambling in South Australia reveal that 70% of the population have gambled in the last 12 months with the most popular wagering opportunities being the lotto (52% of people have played the Lotto in the last year). Poker or electronic gaming machines (pokies) were the second most popular form of gambling at 30% followed by scratch cards (24%) and then horse/greyhound racing (19%). Over the last decade, the state has seen a fall in the amount of wagering activities for poker machines, lotteries and Keno whilst seeing an increase in sports and race betting as well as casino gambling. There are plenty of ways to place your bets in the city including TAB facilities in sports bars, hotels and clubs, licensed race courses and, of course, the city’s casino. You can also find venues which host regular poker and bingo meetings in addition to Keno. The Adelaide Casino is a sophisticated venue for table gaming. Image via website. Owned by the SkyCity Entertainment Group who also operate casinos in New Zealand and in Darwin, the Adelaide Casino was opened in 1985. The casino is the state’s 10th largest employers with 1100 members of staff. Situated in the historic North Terrace area, the casino occupies part of the heritage listed railway station. The casino has a monopoly on table games in the city with a new license extending this agreement until 2035. As a result of this extension the casino is undergoing a major refurbishment and expansion project which is due to be completed in 2020. Strictly speaking the Queen of Hearts is a mobile casino that is available for private hire but the facilities on offer are very professional, so we thought they deserved a mention. Though you won’t be winning over on a big house, just your party guests, the tables you can hire are from Las Vegas and include poker, roulette and blackjack. Events are fully catered and planned by the company and include table staff to maintain neutrality when it comes to gaming. Horse racing in Adelaide offers a shadow of the celebrity fame that jockeys could regularly expect in the 60s and 70s but is still a popular place for die-hard fans who enjoy the thrill of live racing. During the same period, South Australia was considered a powerhouse for the turf industry and regularly produced national winners at some of the biggest events in the country. Sadly, courses don’t pull huge crowds except at major events but an announcement in January 2017 that the government would be injecting $5.8 million in prizemoney and $200,000 in marketing to boost the dwindling fortunes of the city’s only remaining racecourse (Morphettville) could see a reversal of South Australia’s horse racing fortunes. The legendary ‘Octagonal’ at Morphettville in 1977. Image via website. Situated just 10km from Adelaide’s CBD, Morphettville Racecourse is the premier racing course for South Australia and is the headquarters of the South Australian Jockey Club. The course opened in 1876 and, after the closure of Cheltenham Park and Victoria Park, Morphettville now remains the only central horse racing location in the city. The racecourse consists of two tracks, the original (and main) 2.3km flat course which features a retractable finishing post with hydraulics and a second course known as ‘The Parks’. The course hosts some of South Australia’s biggest races and features a full racing calendar with an event every Saturday. April is one of the busiest months for feature events which include The Australian (Schweppes) Oaks, the South Australian Derby and the two $1,000,000 purse races of The Goodwood and the Robert Sangster Stakes. However, the most popular event locally is still the Adelaide Cup which is held on the second Monday in March. Full TAB facilities are available on site with general admission being charged at $15 (Summer) and $10 (Winter). Most well known for its Easter Carnival racing, Oakbank is home to the Oakbank Racing Club and is situated in Adelaide Hills. Sometimes called Onkaparinga Racecourse, the carnival attracts crowds of 45,000+ over the two day event. The meet combines steeplechase and flat racing and includes two of Australia’s biggest jump races; the Great Eastern Steeplechase and the Somerland Classic Hurdle. There is a prelude meeting a few weeks before the carnival but otherwise the course is closed except for corporate hire, functions and social events. The high speeds and thrill of harness racing make it an excellent spectator sport. Image via Facebook. Globe Derby Park is home to the South Australia Harness Racing Club and holds meets every Saturday and Monday (and Fridays in the winter). Opened in 1969, harness racing is a popular spectator sport and the park regularly draws a good crowd. The Summer Carnival in January and the Trotters Carnival in June are all well attended. Races are broadcast of Radio TAB and there also bookmakers on site. Admission is free and the park is just 20km from the city. An hour to the north of Adelaide you can also find the Balaklava Racing Club, the Gawler and Barossa Jockey Club and the Clare Valley Racing Club. Across the St Vincent Gulf you can find a horseracing track on Kangaroo Island. Greyhound racing is legal in Australia making it one of only eight countries worldwide where you can gamble on the dogs. Adelaide has just one greyhound race track but it is a popular place for punters looking for a midweek venue to watch live racing. ‘Only at the Dogs’; the GRSA spends a lot on marketing to boost admissions. Image via Facebook. The only greyhound racing facilities in Adelaide can be found in Angle Park. The stadium is about 10km north of the centre of the city and can hold around 4000 spectators. Opened in 1972, Greyhound Park has a sand surface and holds regular midweek meetings on Monday and Thursday nights as well as Wednesday mornings. The track has full TAB facilities and is a popular venue for punters in Adelaide. Playing the lottery is the most popular way to wager in Adelaide with half of the population taking part. Most of the expenditure on the Lotto is via the National Australian Lottery which is licensed by the national government and run by the Tatts Group. You can find full details of all the regular ways to play, including daily jackpots and draws, via the Official Lottery website. The most popular form of gambling in South Australia, most people are ‘in it to win it’. Image via Oz Lotteries. An instant version of the lottery is Keno which is popular in Adelaide and has some coverage in the city. You can find venues to play this game using the official SA Keno website. The main poker venue in Adelaide is at the casino (see above) which has a dedicated poker zone on the north-western corner of Level 1. There are two ways to player here; either a cash game or a tournament game. Tournaments and cash games are available at varying levels of buy-in. A members only club in the heart of Adelaide, Matchroom Poker holds events every day of the week. The venue is home to ‘serious’ poker in Adelaide and has buffet and bar facilities. Cash pots vary but range up to $33k for the main events held on Friday nights and Saturday afternoon. Buy-ins vary by game but start at $70 up to $1500 including the admin charge. Membership to the club costs from $10 a year. Bingo is popular throughout South Australia and you can find several venues where events are run weekly that offer cash prizes. As well as these venues you can also play bingo at the Adelaide Casino on Tuesday mornings from 11.00am. Bingo is a popular form of gambling which is more widely accepted and available than TAB betting. Image via Flickr. There are some big jackpots available as well as break-open instant win bingo tickets and raffles. The Regency Park venue also features 60 programmable electronic tickets (PET9). Also run by Novita, bingo events are held in the Jimmy Deane function room and take place on Wednesday and Sunday. 30 games are played each day with calling starting at 7.30pm and 6.00pm respectively. Another of Novita’s bingo events to extend their fundraising, you can visit the Marion Sports and Community Club at lunchtime for some daytime bingo between 12.00pm to 2.00pm on Wednesday and Friday. This community bingo hall holds games Thursday, Friday and Saturday evenings from 8.00pm. Doors open at 6.30pm. Eyes down at the Bedford Bingo Club for some decent cash prizes. Image via Facebook Page. Bingo is held every Friday lunchtime with eyes down at midday. A large number of community centres and senior citizens clubs also hold bingo events. Whilst many of these are open for residents only there is a large selection of those that allow guests. You can find full listings of all such venues in South Australia via the SA Community site. In total there are around 12,400 licensed EGMs in South Australia. The Rosemont Hotel & Pokies has 32 licensed EGMs. Image via Flickr. You can find TAB facilities at a lot of sports bars and clubs in the city. Image via Northgate SCC.